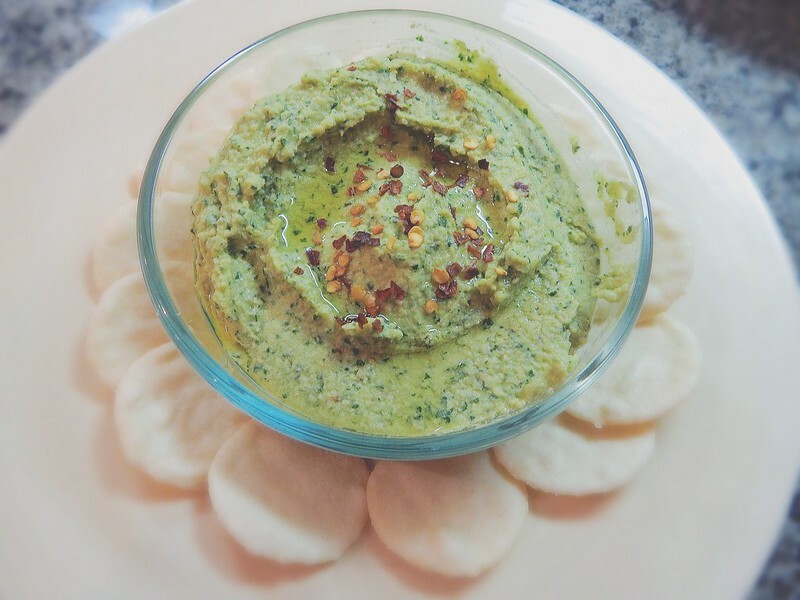 Homemade hummus is 1000000 times better than store-bought. I didn’t even know it was possible to make something better than Sabra Hummus with my own hands but this recipe proved it is!! Tastes fresh, light, and so delicious! Directions: Start by roasting your garlic. Preheat the oven to 400ºF. Peel away the outer layers of the skin from the garlic bulb, leaving the skins of the individual cloves intact. Cut off ¼ to a ½ inch of the top of cloves, exposing the individual cloves of garlic. Place the head of garlic in the center of a small piece of foil. (You can also place it in a baking pan or muffin tin covered with foil). Drizzle a couple teaspoons of olive oil over the top, using your fingers to make sure the garlic head is well coated. Close the foil around the garlic tightly. Bake for 30-35 minutes, or until the cloves feel soft and tender. Take it out of the oven and allow it to cool so you can touch it. Using a knife or a fork, press down on each clove to squeeze the garlic out of the skin. Now time to make your hummus. Reserving ¼ cup of the liquid, rinse and drain chickpeas. Place chickpeas and reserved liquid in a food processor. Add in the kale, freshly squeezed lemon juice, tahini, roasted garlic, salt and a little freshly ground black pepper or red pepper flakes. Process until smooth. I drizzle in just a bit of olive oil while its processing, it makes it even smoother and gives it a nice, subtle taste. Sprinkle a bit of red pepper flakes or smoked paprika and drizzle a bit of olive oil on top when serving. Serve with your favorite gluten-free goodies like rice crackers, tortilla chips, raw veggies, or serve it on a sandwich, in a wrap and more. To store, refrigerate in an airtight container up to 1 week.